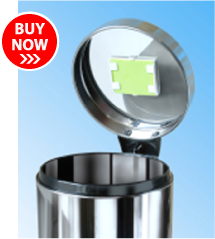 Bin Fresh is an air freshener specially for wheelie, pedal, swing and flip-top refuse bins, available in 'citrus' scent, with other scents under development. Daisy Fresh is an air freshener for use in bathrooms. A pack of Daisy Fresh contains two flower-shaped air fresheners, each sealed in a plastic pouch with a mounting stalk and pad for sticking the air freshener to a surface. 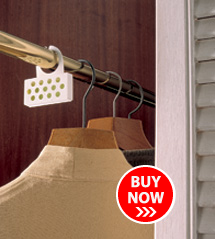 Wardrobe Fresh air freshener for wardrobes and cupboards. Its small size is more appropriate for use in wardrobes and cupboards. Available in 'floral' scent, with additional scents under development. 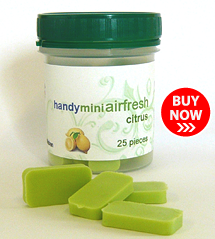 Mini AirFresheners are handy for use wherever you want a fresh Citrus smell. Each tub contains 25 Mini AirFresheners. Available in 'Citrus' scent, with additional scents under development. River Airfresh offers a range of unique compact-sized, slow-release air fresheners designed for use around the home or office. Simple and safe to use. Each unit provides up to 6 weeks of air freshening depending on ambient temperature.